Since May 20th, 2014, Nintendo has ceased providing Wi-Fi Connection services for the Wii and DS. Because of this plug-pulling, 20 Wii and Wiiware games and 40 DS games no longer feature online gameplay, matchmaking, or leaderboards. While many Wii and DS channels have remained unaffected, it is reasonable to believe that a fair amount of people may wish to play some of the aforementioned 60 games. Luckily, a group of individuals is currently working on establishing a fully-stable homebrew server to keep these games alive. So far, progress has been tremendous, but there is still some distance to go to return these games to status-quo. One other individual that would be helping the cause is a full-time computer programming student named Brenton. He explained to Polygon.com on how a smaller project of his turned out to be much more important than anticipated. "I'd been kicking around the idea of writing a server emulator for Tetris DS as a way to learn more about network programming," he said. "When I heard the news that the DS and Wii servers would be shutting down I figured it was now or never, so gave it a shot during my spring break. My original goal was only to get Tetris DS working, but it eventually turned into a general DS and then also a Wii server project due to the way the online features work on those consoles." As far as where the server itself comes from, it was donated by one of the contributors to the Homebrew Channel and, according to Polygon’s sources, costs $50 annually to run. While Lelli, Brenton, and many others contribute to the server by adding/testing new features or correcting bugs, the main developer behind the server is known by the alias, Nagato. [@Nagato, if this is you, why didn’t you tell me sooner about this!?]. For those who do not quite know what a homebrew server is, it is basically a server run by an individual or group with custom-built software. This software enables users to have access to matchmaking, friend lists, game statistics, and other options. Of course, there is a much more technical definition, but I will not attempt to get into that. Access to this particular homebrew server for the Wii and DS requires the completion of various less-than-traditional tasks. For DS users, ROMs of the games to be played will need to be patched by a specific program for compatibility to the server or ran through a different program to generate an Action Replay Code to be used later on. In either case, players will need to use a flashcard to run their ROMs. 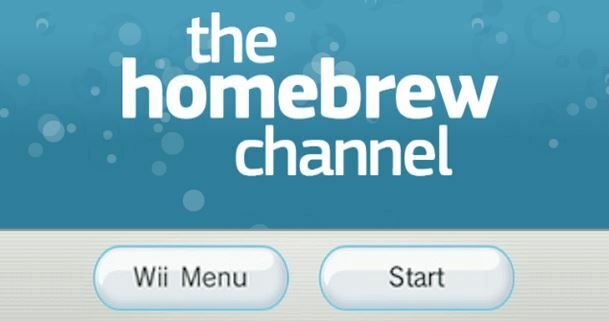 In the case of playing Wii games on this server, a homebrew-cable Wii or Wii U is required, as is the installation of the Homebrew Channel. Going further, users will also need to install an offline network enabler to their Wii and install some game-supporting software called “BrainSlug.” However, if a user is using a USB loader, they do not have to use BrainSlug, but must install a program called the "Ocarina Code." Whether a user plans to play Wii or DS games on the server, they will need to enter specific Primary and Secondary DNS codes on their respective consoles. Should anyone reading along wish to connect to the homebrew server, instructions and links to various needed-programs can be found in the SOURCE linked below. I have also included a link to the “Home” of this project which features progress-updates and better, step-by-step instructions for setting up connection to the server. As of less than two days ago, the homebrew server in question has managed to revive 10 of the 20 Wii games and 25 of the 40 DS games affected by Nintendo’s May 20th plug-pulling. While this is certainly great progress, the group behind the project admits there is still a lot of work to be done. "Most games that only use the bare minimum of the Wi-Fi Connection network are already supported," Lelli explained. "Many others have custom servers that need to be added, and we hope to add as many as possible. Right now we're working on getting Wii games to work better, with Mario Kart Wii and Super Smash Bros. Brawl being popular games. Another developer is working on features for Pokemon games." Currently, most people on this server are playing in order to spot and correct any bugs or do troubleshooting. While most gamers are enjoying the newest consoles and games, some still wish to experience their old favorites. After all, to some gamers, Wii titles are their classic favorites.